Baptism is an opportunity to wash away your old life and begin your brand new life in Christ. 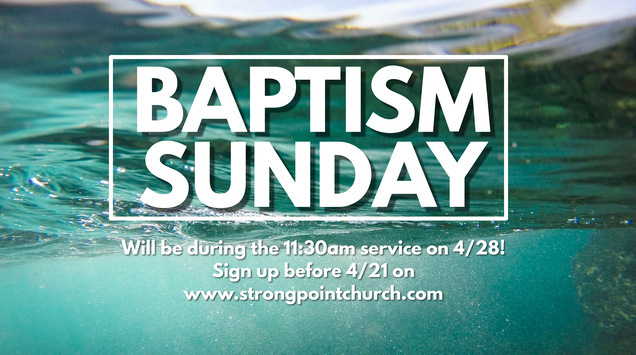 At StrongPoint Church, we believe that Baptism is one of the most important days of your life. If you or a loved one would like to partake in an important life-changing ritual that will document the first day of the rest of your life, please join us for Baptism on Sunday, April 28th during our 11:30 am service. Please note: Ages 9 & up only. Looking for fun and creative new ways to explore your faith? 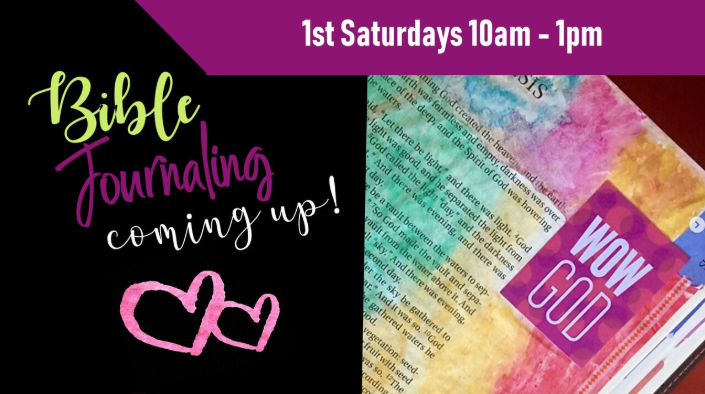 Join us for Bible Journaling the first Saturday of the month as we delve into the Word to have a great time together. 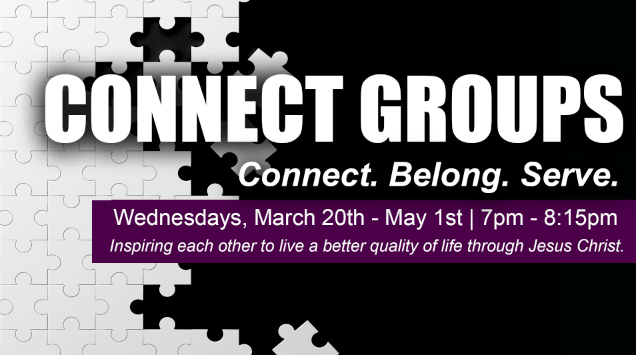 Join the fellowship of StrongPoint Church Connect Groups, where we will reinforce our “roots” by diving deeper into the Word. We will experience God together as we engage with the Word in an encouraging, supportive and fun environment. The groups will meet weekly for eight weeks, March 20th – May 1st from 7 PM – 8:15 PM at KCC. What happens when life looks very different from the reality we long for? Find unexpected strength while wrestling between faith and feelings and learn how to stand through uncertainty and trust in God’s goodness. Childcare is available for ages 0-8 and is 1st come 1st serve. © 2019 StrongPoint Church. All rights reserved.